Get up to speed on Chicago’s car culture. Three exhibiting car owners discuss their prized whips. 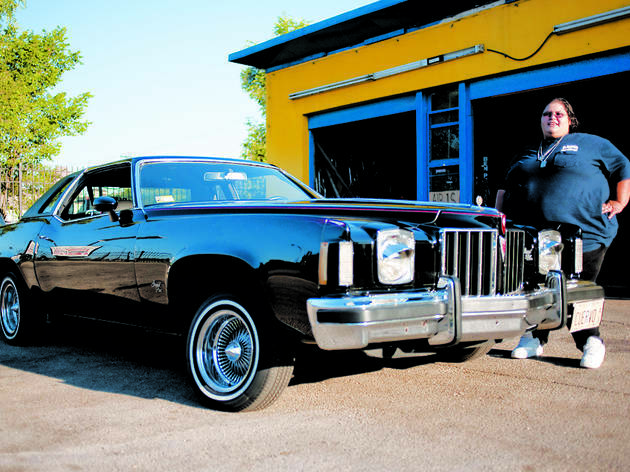 Photograph: Michael JareckiAnais Ramirez stands next to her 1975 Pontiac Grand Prix lowrider �Cuervo�. 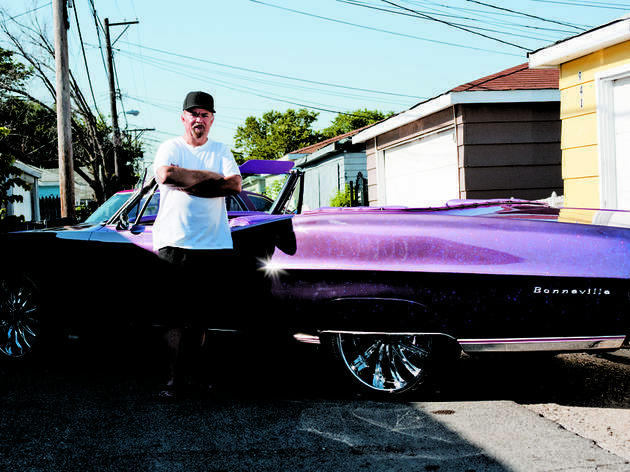 Photograph: Michael JareckiJaime Rodriguez stands next to his 1967 Pontiac Bonnaville lowrider "New Beginings." 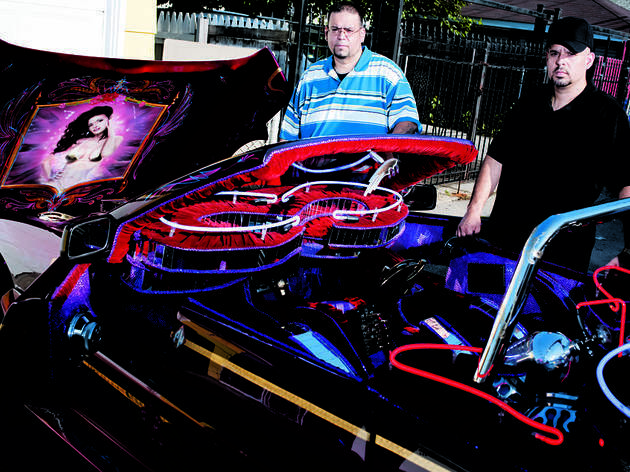 Photograph: Michael JareckiRay Rodriguez (left) and his older brother Jimmy Rodriguez stand next to their 1987 Toyota Corolla lowrider "Precious Moments"
Photograph: Michael jareckiRoberto Olvera kneels next to his 1950 Chevy Fleetline Lowrider "Brazer." Lowdown Brazer, a 1950 Chevy Fleetline, sports a silver coat and gleaming chrome spokes. Olvera, a professional die caster, taught himself to paint cars. Along with Amistad, a five-crew Cicero club, he worked on a stunning 1978 Chevrolet Monte Carlo lowrider on display in the entry hall of the Chicago History Museum. 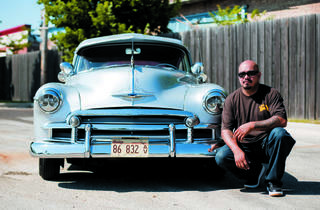 His Chevy Fleetline was acquired from Mexico for $1,500, and over the last 13 years, the glossy mercury machine racked up more than 40 trophies. Lowdown In high school, Ramirez’s friends didn’t believe her when she said she received a cruiser for her quinceañera. Who would think a 15-year-old would want a lowrider before she even possessed a license? These days, everyone knows Anais loves cars. Cuervo, her 1975 Grand Prix with shaved door handles, red and silver pinstriping and a molded trunk, has her dad’s initials embroidered on the seats. 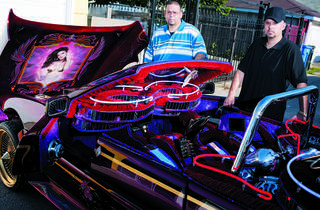 Showing that lowrider culture is more civic involvement than Cypress Hill, the Sunday school sacraments coordinator speaks fondly of showcasing her car to help raise money for toy and food drives. She’s won several awards but believes that rolling in her onyx beauty and hanging with her El Barrio car club is far better than winning. Lowdown Rodriguez’s brother Jimmy, who sold him the Corolla in 2000, ironically named the bad mamma jamma after the eponymous figurine brand. The 1987 Toyota Corolla now boasts a Chevy engine, a Jaguar rear end and a convertible top. Rodriguez made more than 30 modifications, so Precious Moments is no longer street legal and spends time racking up car show awards—more than 300 to date including the coveted Lowrider magazine Euro of the Year. 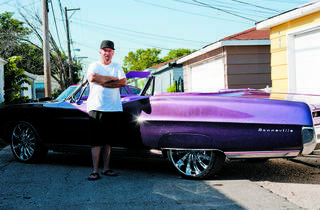 Due to the bad economy, the Humboldt Park native has put his costly lowrider habit (he believes he’s spent six figures) on pause. 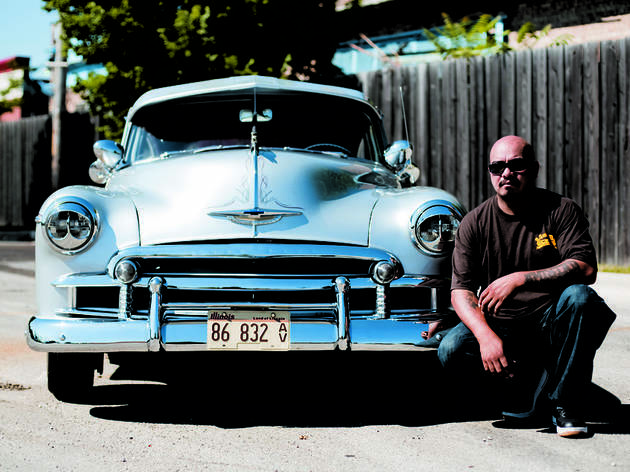 On Sunday 14, roll out to the promenade of 25 lowriders at Chicago Urban Art Society, 2229 South Halsted Street.